Getting all geared up for your first diving adventure is definitely exhilarating, but it can also be incredibly frustrating and nerve-wracking, especially when you’re trying to figure out just what it is you need to bring with you. Having the right gear with you can make or break your trip—but of course, that’s not something you want to worry about! Here’s a basic list of the things you need to think about bringing with you so that you can focus more on getting excited and less on stressing about the details. Don’t worry if you don’t have everything on the list. You’ll find that many things can be bought or borrowed depending on where you’re diving. 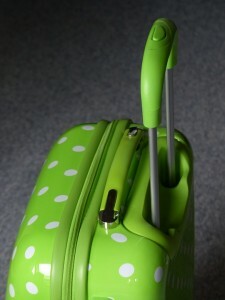 The first thing you need to do, before you even begin packing, is decide where to go and how you’ll get there. There are plenty of great diving spots around Ireland, although the waters can get a bit chilly—but if you’ve got a good wetsuit, you should be fine. Even though it’s a relatively small country, you may want to fly to your destination so that you can spend more time diving and less time driving. Of course, by the time you pay for carry-on luggage and a checked bag, that once-cheap flight on a budget airline may not be the cheapest option anymore, so you may need to limit what you carry, unlike if you were driving. Let’s start with your carry-on bag, which is where all the most important things will go. You need to make sure you bring things such as medications (along with any necessary prescriptions or doctor’s notes), prescription dive masks, your dive computer (if you have one) and anything else that will be difficult or expensive to replace if your checked bag is either lost or delayed. Make sure you contact your diving provider, if you have one, and pack all the required documents such as copies of your ID or whatever else they require you to provide. You’ll probably also want to bring a change of clothes and whatever else you’d want for the first night or two—again, just in case your bag is delayed. And of course, anything electronic should go in your carry-on bag, just in case. This means computer or tablet, camera, GPS and/or whatever else you might be bringing. The last thing you want is to start your trip off on the wrong foot because your electronics got damaged en route! While we’re on the subject of electronics, let’s talk about what to pack. It’s kind of up to personal preference, but most people like to have some way of documenting their trip, especially their first dives! You may be able to get a waterproof case for your smartphone and just use that for all your photos, or you may find that you want to use a separate camera for your trip. Whatever it is, you’ll probably want to set up a backup service or somewhere else to dump your photos and video so that you know you won’t lose them if your device is lost, stolen or stops working. Personally, I carry my computer so that I can edit my photos on the go and upload them even while I’m on my trip—but if you’re going that route, make sure you install a VPN on any of your devices prior to setting off, because public WiFi networks are inherently unsafe (believe it or not!) and identity thieves find it easy to target travelers, who often forget to check their account balances and things such as that until it’s too late. You definitely don’t want to have to have any issues while you’re on your trip! As an added bonus: a VPN can also help you get around geo-restrictions so that at the end of a long day, you can watch Netflix or Hulu just as you would back home. 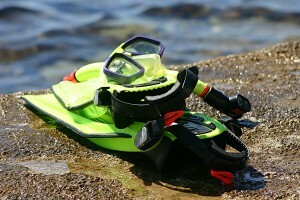 Ah, the dreaded question for the first-time diver: what diving gear do I need to pack? Honestly, the answer for most places is none. Check with your dive company, but a lot of places will let you rent gear on-site rather than lug it from home. And if it’s your first time diving and you don’t really know how much you’ll dive in the future or what kind of gear you might like or whatever else, it might be safer just to rent the gear for now so that you don’t regret what you’ve bought in the future. That said, having your own dive gear allows you to get really comfortable with it, and if you know you’ll be diving a lot in the future, it can be a great investment. Check out this list by Scuba Diving magazine to make sure you’ve got your eyes on the right pieces of equipment. Although diving may be the main purpose of your trip, it’s probably not the only thing you’re going to do while you’re gone, and you should remember to pack accordingly. You’ll probably find yourself spending a lot of time in your swimsuit, but a few pairs of underwear are never amiss, and it’s always nice to have at least one decent outfit to go out in. Try to bring layers: a lot of coastal places can get a bit chilly once the sun’s gone down, especially if there’s a breeze or some drizzle like in Ireland. What you pack is up to you, and it’ll depend on how much space (and weight) you have left in your bag once your dive essentials are packed (and remember to leave some space for souvenirs! ), but it’s good to make sure you’re thinking about all aspects of your trip, not just the diving part. These, of course, will vary from person to person, but a good way to figure out what to bring is to take a good look around your bathroom and take note of the items that you normally use—toothbrush, toothpaste, razors, shampoo, etc. You can find most of these items abroad, but if you need a specific brand in order to feel comfortable, you may want to pack it, space permitting. Although packing for your first diving trip can be a nightmare if you don’t know what to bring, it doesn’t have to be that way. 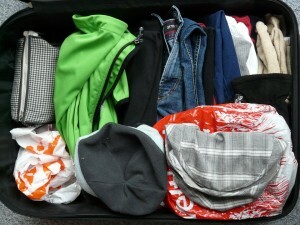 Really, it’s just like packing for any trip, with a few minor tweaks, so don’t stress too much! Have you completed your first diving adventure? Share your packing tips below!